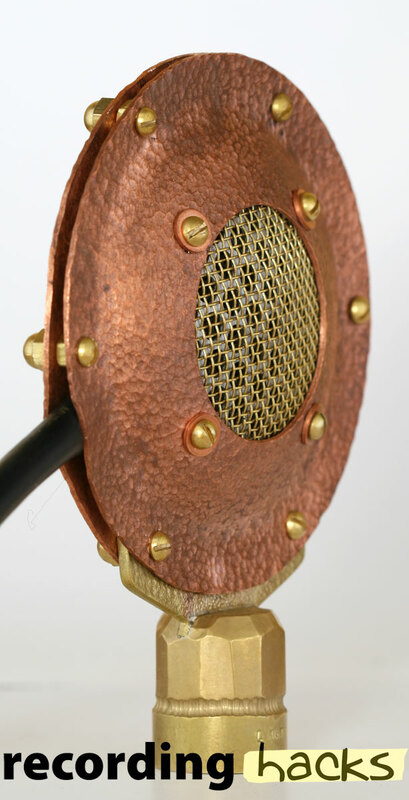 The Model 77 is a dynamic microphone made by hand in the US. The large-diaphragm dynamic cartridge has a 38.5mm diameter diaphragm. Its response is tuned through the use of acoustic resistance and resonating elements. 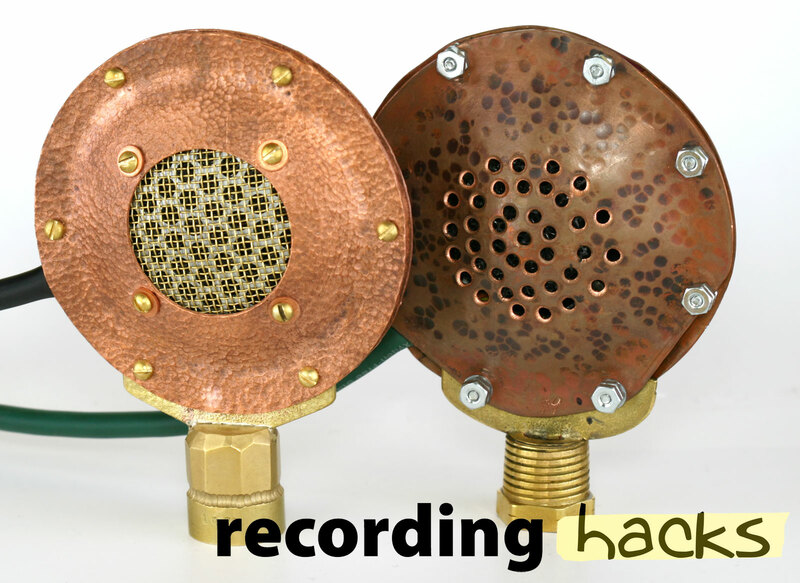 The sound of the microphone is also dependent on the unique shape of the mic’s body, and the acoustic porting on the front and rear of the capsule. The mic has a nominally hypercardioid polar pattern, although like most directional microphones it tends to be omnidirectional at low frequencies. The published frequency response is 40-18,000 Hz, although the -3dB points appear to be 100Hz on the low end and 14,000 Hz on the high. 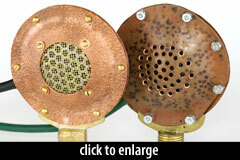 The front and rear halves of the body are hand-hammered copper or brass; a variety of materials and finishes are available. Liberty Microphones have a lifetime warranty. 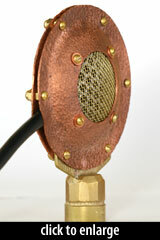 The Liberty Microphone & Transducer Co. Model 77 is also known as: LM77.